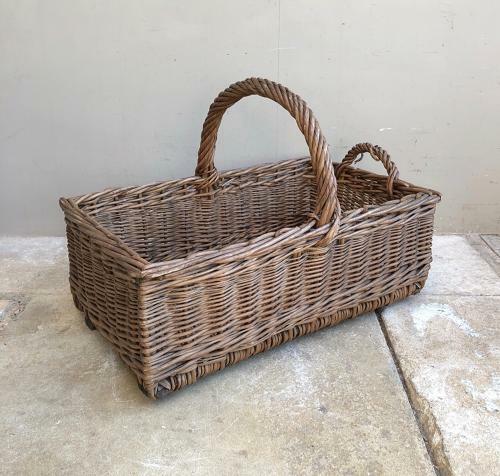 Lovely condition & colour Edwaridan Bakers Basket. Central handle and one to the end too for 'shaking out' crumbs etc. Good solid condition...wooden slats to the base.